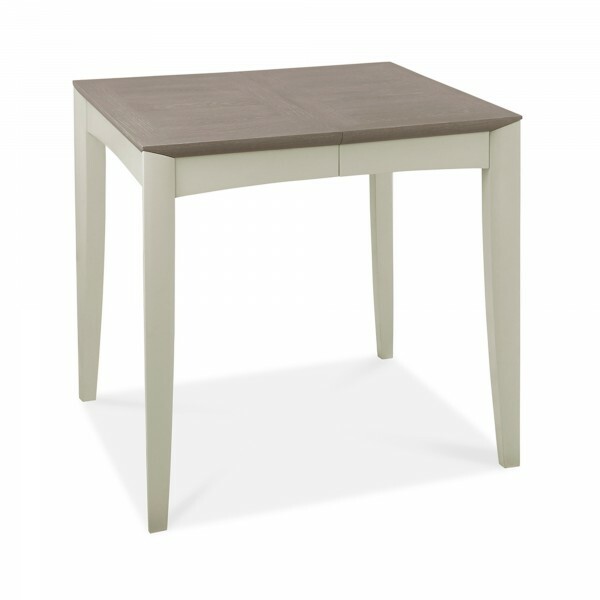 This grey two-toned expanding table is perfectly crafted to create the upmost sophistication. When collapsed seats 2 and when fully extended, will seat 4. The best thing about this table is that it will sit perfectly in any space and has two matching chair options available. The table is designed to add extra people around your dinner table with ease.